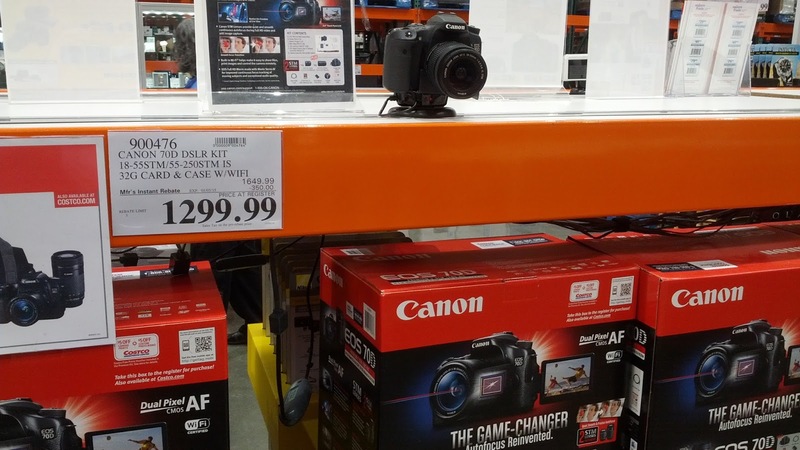 Whether you're a professional photographer or an amateur who just enjoys taking lots of pictures, you may want to take a look at the Canon EOS 70D DSLR camera bundle at Costco. What's great is that this bundles includes everything you need to take wonderful, vibrant photos: camera, lens, 32 GB memory card, and a bag to carry it all in. Although Canon ranks up there with Nikon and Olympus as the best brand names in cameras, and I've been buying Canon cameras for the past 30 years (I've bought over 20 Canon cameras in that span). If you haven't bought a camera for the holidays yet either for yourself or as a gift, definitely take advantage of the manufacturer's instant rebate ($350); otherwise, you'll miss out on capturing many of life's memorable moments. If you prefer something you can easily carry around for, say, travel, then you may want to check out the Panasonic DMC-ZS35 which is smaller and portable. Offering most of what an enthusiast looks for in a digital SLR, the Canon 70D takes it a step further with excellent live view and movie mode autofocus. Good continuous shooting performance and Wi-Fi simply serve to sweeten the deal.